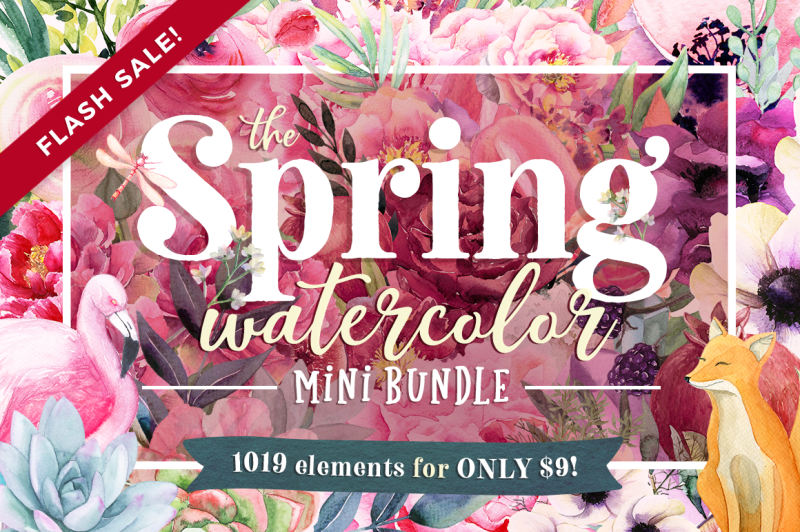 The Spring Watercolor Mini Bundle is packed to the brim with over 1000 watercolor elements from 22 gorgeous graphics packs! Featuring spring florals and foliage to dreamy boho feathers and tribal patterns, plus some magical forest elements and even sweet popsicles, it's time to embrace the spring fever! 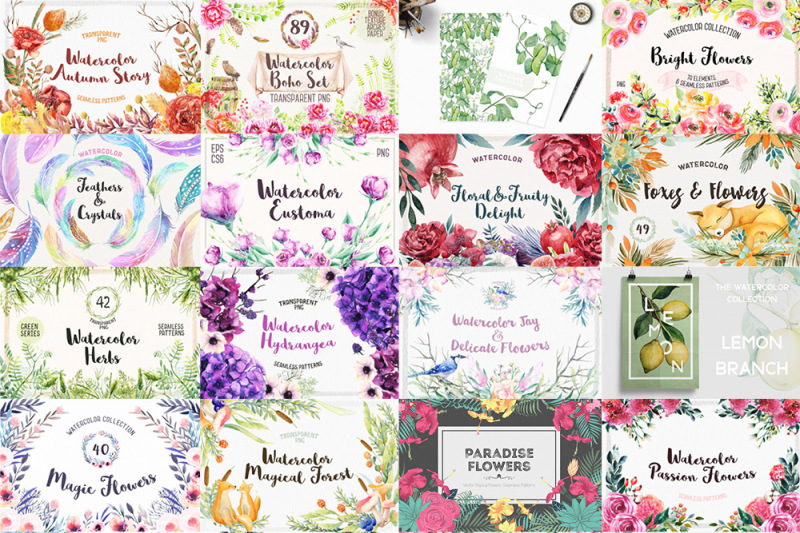 Usually worth $278, but for this week only, you can grab this huge collection for JUST $9— that's a saving of 97%!! Grab it before it's gone! Commercial license included.